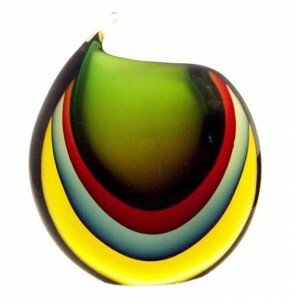 One of the most famous makers of Italian Murano art glass is Luigi Onesto. 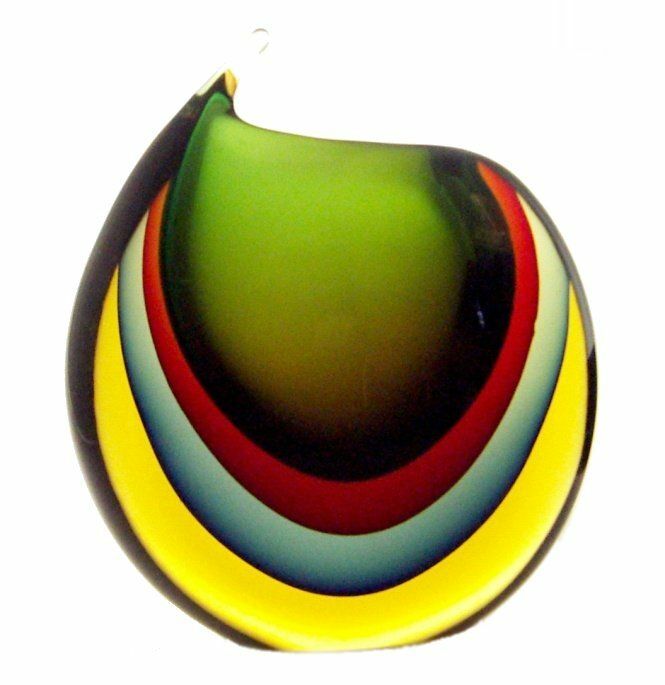 Born in Murano, Italy to a family of glassmakers, Luigi was immersed in the art from an early age. As a teenager he honed his craft during his apprenticeship at Gambaro & Poggi, one of the oldest and leading glass making companies in Italy at the time. Once he had attained suitable skill he founded his own art glass studio, Vetreria Artistica Oball, where he now works with his sons. On numerous occasions he has collaborated with Oggetti, the famous U.S importer and retailer of fine Italian art glass. Luigi’s work is characterized by his exceptionally skillful use of the sommerso technique. Sommerso involves layering multiple colors of glass for a very distinctive and beautiful effect. It is not a simple process by any means and in the hands of lesser artists the effect is often ruined by the presence of air bubbles between the layers. In the hands of a skilled artist like Luigi Onesto the end result is quite dazzling as you can see in the example to the right. Browse the wonderful selection of Luigi Onesto art glass for sale on eBay. You won’t find a better selection anywhere else! Awesome Submerged Sommerso Murano Vase Attributed To Luigi Onesto 13"
Murano Glass Ogetti VASE by Luigi Onesto Signet Made in Italy Pristine Cond.